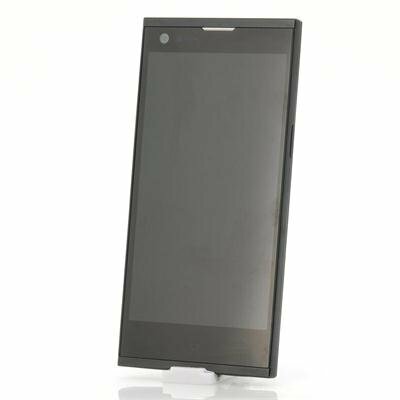 Successfully Added ThL T11 Octa Core Smartphone - 5.0 Inch 720P Screen, MTK6592 Octa Core CPU, 2GB RAM, 16GB Memory, Gorilla Glass 3 (Black) to your Shopping Cart. ThL T11 use 5.0 inch 720P screen, with MTK6592, Octa Core 1.7GHz processor, it has 2GB RAM, 16GB internal memory, 5MP front + 8MP rear camera and runs an Android 4.4 OS. The THL T11 is an awesome looking phone and unlike the more feminine models with rounded corners this square beast looks very masculine. It not just the looks department that have been boosted, under the body you get a 1.7GHz MTK6592 Turbo Octa Core CPU and 2GB of RAM so you’re going to get lightening quick performances and have plenty of power for games and multitasking. With support for WCDMA 850, 1900 and 2100 the Thl T11 should be compatible with nearly all American and European carriers so you can enjoy streaming movies directly to this phone at reliable speeds with the 3G network. That beautiful 5 inch screen has a 720p resolution which is more than enough for most needs and because the manufactures opted for a 720p rather than a 1080p display you get a greatly improved battery life and slightly cheaper price for an almost negligible difference in display quality especially on a 5 inch screen. To keep it looking sharp and protect from scratches it sports Corning Gorilla Glass 3 so it will stay beautiful for a lot longer. 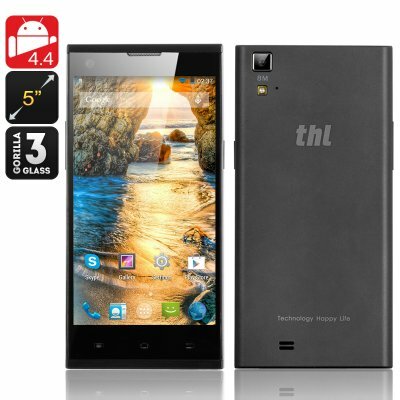 This latest ThL phone has 16GB of on board memory and a micro SD card slot let you add up to 32GB of extra storage so you have more than enough for games, movies and apps which can all be accessed from the Google Play store that comes pre-installed on the Android 4.4 OS. Yet another bonus is the 2700mAh battery and because of that great 720p screen it can give you very respectable usage times. You can also enjoy OTG and NFC on this phone for quick and easy wire free data transfer and other features such as dual SIM, a 5MP front and 8MP rear camera and loads more to boot. There is nothing to complain about so far.